The Oksana polished nickel 2-tier 12 light large chandelier with crystal drops, an opulent chandelier, with large faceted crystal droplets adding a touch of glamour. 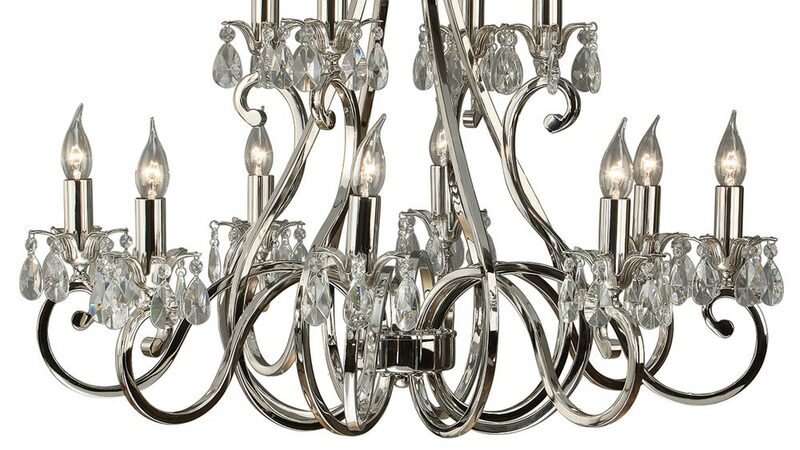 A stunning and magnificent 2 tier chandelier, with scroll arms and masses of quality 24% lead crystal drops. With eight lights on the lower tier and four on the top tier, featuring rod suspension, double curved lamp arms, decorative petal sconces and candle tubes. Each sconce is decorated with large faceted crystal drops that sparkle when illuminated. 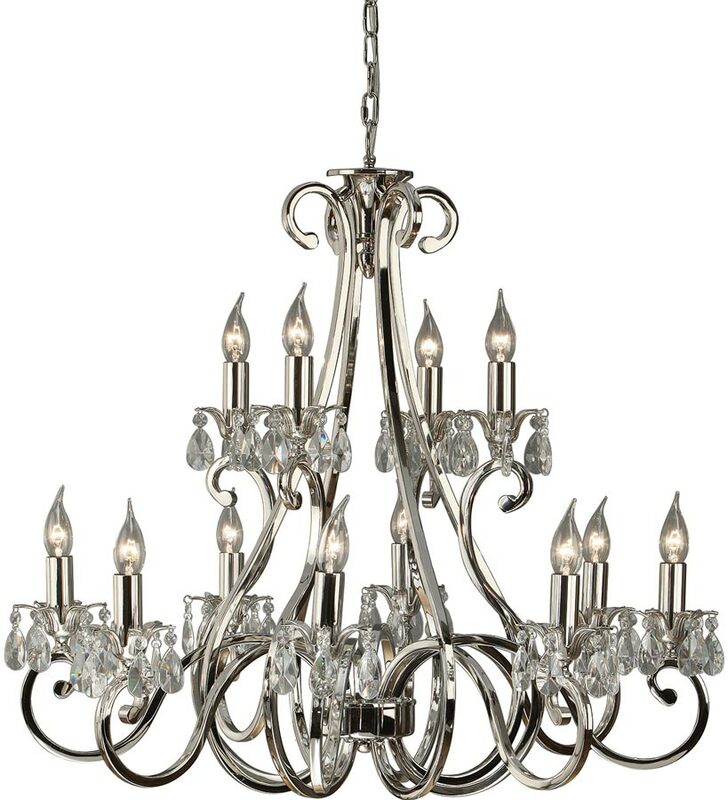 This is a large scale chandelier suitable for a larger room, hallway or landing with sufficient ceiling height. Height adjustable at the time of installation, minimum height 78cm, maximum drop 177cm. Weight 19.0 kg. 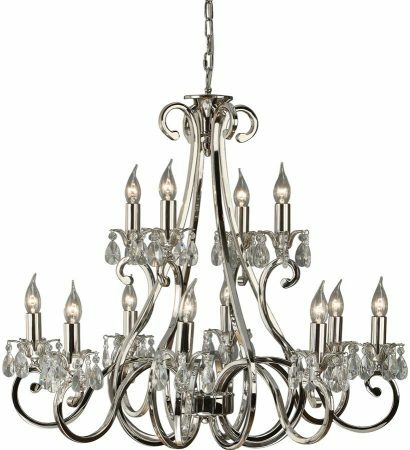 The Oksana polished nickel 2-tier 12 light large chandelier with crystal drops, part of the New Classics collection, an interiors 1900 exclusive design that has previously won the lighting show best product award.